Milwaukee, the city we call home! For many teens this is the prime location to capture their senior portraits and I don’t blame them. Brew City is full of unique settings that make for really stunning pictures, especially the Milwaukee Art Museum. 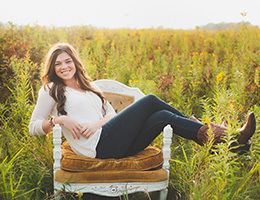 Kara Reese Photography is located in Waukesha, just a short 20 minute drive from The Historic Third Ward and the Lakefront of Lake Michigan. 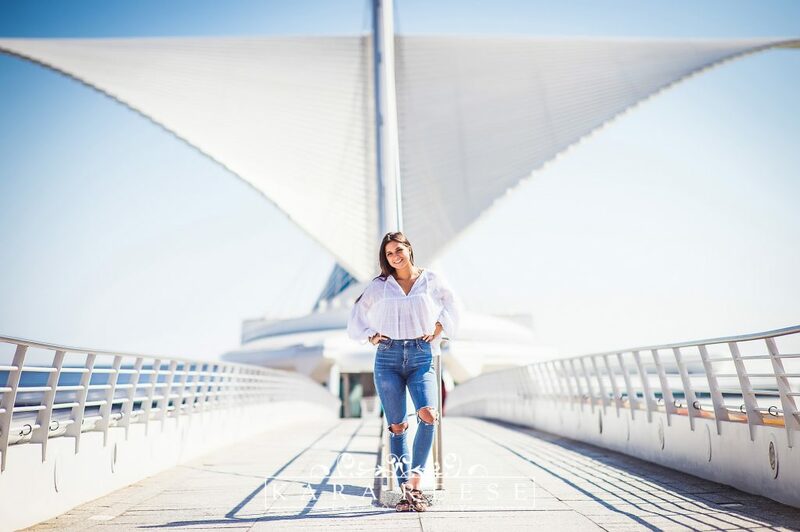 The Art Museum is a wonderful tourist destination and backdrop for Milwaukee senior portraits. On a sunny day this bridge is perfect! Did you know that the wings of the museum that you see behind Gina open and close every day, unless it’s too windy. This is by the entrance to the museum. 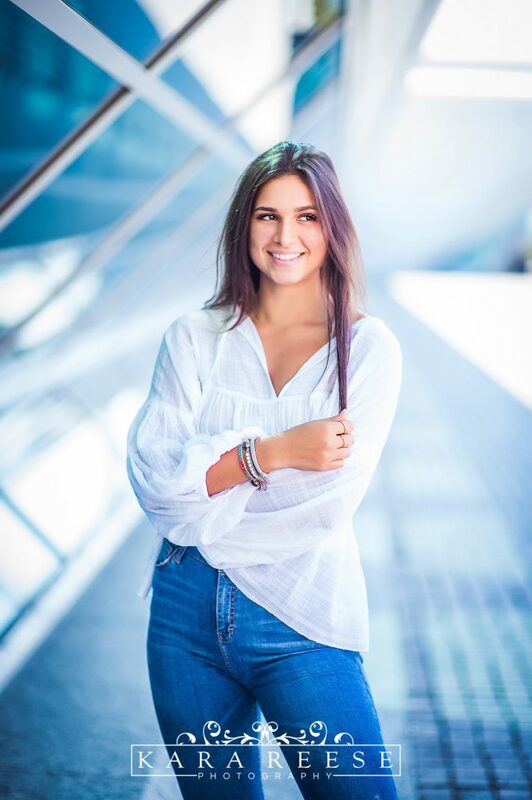 I love how the light reflecting off the windows compliments Gina’s denim and blue beaded bracelet. So gorgeous! Urban settings like Milwaukee offer so much variety when mixing and matching outfits to the scenery. Gina’s white top is a great neutral for the area we shoot in. She brought 3 outfits which we thought was the perfect amount. The weather was so nice this day, we miss it! The fountain behind her is so stunning. I enjoy when seniors bring a mix of formal and casual looks because it gives us a lot to play around with. These sandals are so fun! Gina is going to have so much fun after high school. 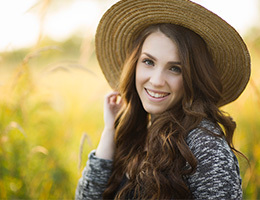 I was so happy to meet with her family at my studio to pick out the perfect senior picture for her yearbook. We also picked out some prints for her to take with her to college. Everyone loves some Cream City Brick, it’s a Milwaukee photographer’s “bread and butter!” I am lucky to have a brick alley right next to my studio in Waukesha!